Betting with Betfred is fun and profitable because registered users are presented with exclusive offers. 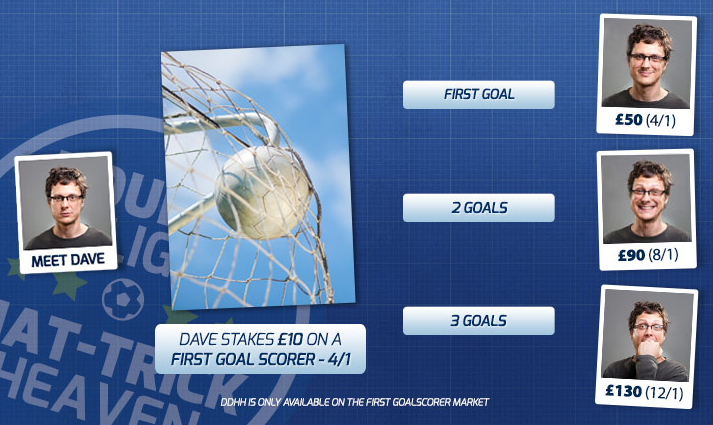 Only pre-match single bets placed on the specified DDHH first goal scorer market in selected games. Fulfilled in real cash. Full T&Cs apply. Double delight and hat-trick heaven is for individuals who like to bet on the first goalscorer. For double delight, if the player that you selected scores the first goal of the game and later scores another, Betfred will double your odds. For hat-trick heaven, if your selected player scores the first goal, Betfred will double your odds, if he later scores the third goal within ninety minutes, the bookmaker will treble the price of your goalscorer. The offer applies to registered users only and applies to pre-match singles while any extra time goal will not count. The maximum winnings amount is £3000, and the funds are paid to your account within 24-hours. Selected sports, bets and markets only. Over 18s only. Full T&Cs apply. The cash-out works on mobile and web applications, with this promotion you do not have to wait for the bet to finish to pocket your winnings. This option allows the user to choose the bet they want to cash-out, once you select it, you are paid the current value regardless of the event or the match’s outcome. The Betfred cash-out option allows the users to be in total control of most football markets such as unders and overs, goals galore, both teams to score and total goals. 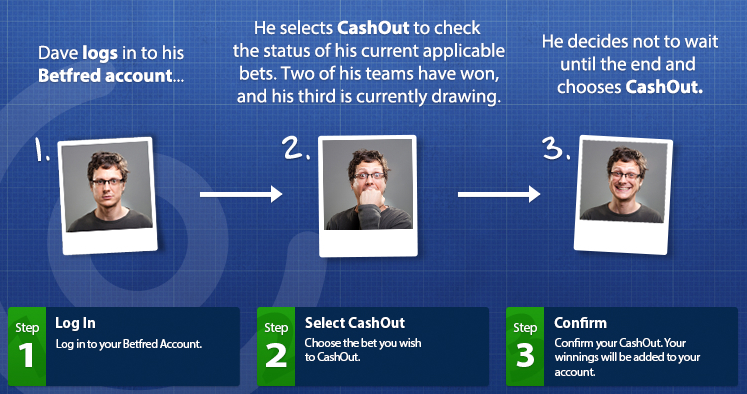 In order to see if you qualify for this promo, just check for the cash-out logo on your placed bet. Applies to pre-match 5-fold+ match result accumulators placed on selected leagues and matches. Min odds per leg of 1/3. Fulfilled in free bets, max £10. Full T&Cs apply. Betfred has acca insurance via their betting and web application, this offer presents a sense of security for your football accumulators of six or more selections should one leg let you down. To qualify for this offer, just place six selections on the game’s result of any football games. If one leg goes against you, you will get a free bet refund that matches your stake. The maximum free bet that you can claim is £25. In-play bets on matches are not supported. All Betfred Customers are eligible for Casino Comp Points. Customers will receive 1 Comp Point for every £10 or currency equivalent wagered on Betfred Casino games unless stated otherwise. Only wagers made on real money games will contribute towards the wagering requirements. Full T&Cs apply. Betfred rewards its users every time they spend money on the available casino games on offer. Comp points are complimentary points that can be converted into real cash once you earn the required amount. For every £10, you spend on the casino games you earn a single point: to convert your points to real cash, you have to attain your VIP threshold. Once you reach your threshold, you only log in to your account, select any casino game, choose cashier button, my account and select convert free cash. Happy hour occurs daily between 7-9pm when all the cash game plays at Betfred Poker get double-award points. Every award point that a user earns is doubled on the next day. Points attained over the weekend are credited on Monday. If you would like to take advantage of these offers but you don’t have an account on that specific product, read here and discover all the welcome bonuses available.